New Healthy Menu Choices - Fresh, Local Breakfast, Brunch and Lunch. With the arrival of Autumn, Egg Harbor Café is thrilled to bring a bountiful selection of fresh, seasonal delights for every taste. When you're looking for a healthy breakfast or lunch to energize your day, keep an eye out for these delicious choices, available beginning September 19. 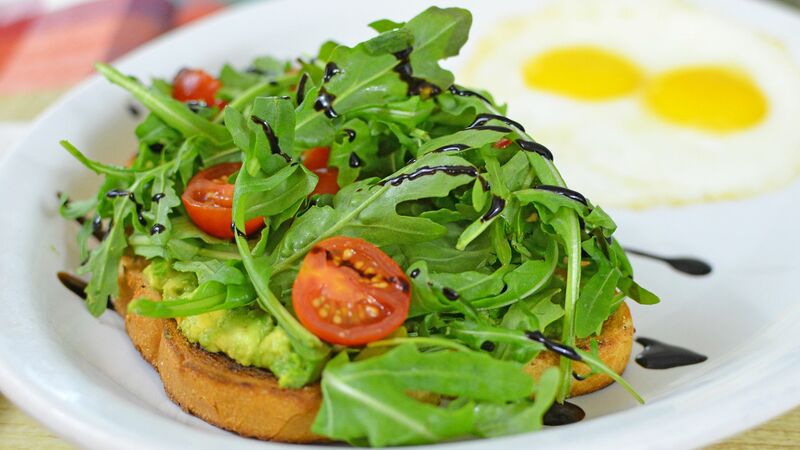 Avocado Toast: A slice of sourdough toast topped with smashed avocado, arugula, and grape tomato with a squeeze of lemon and a fig balsamic drizzle. Served with two free range eggs, any style. 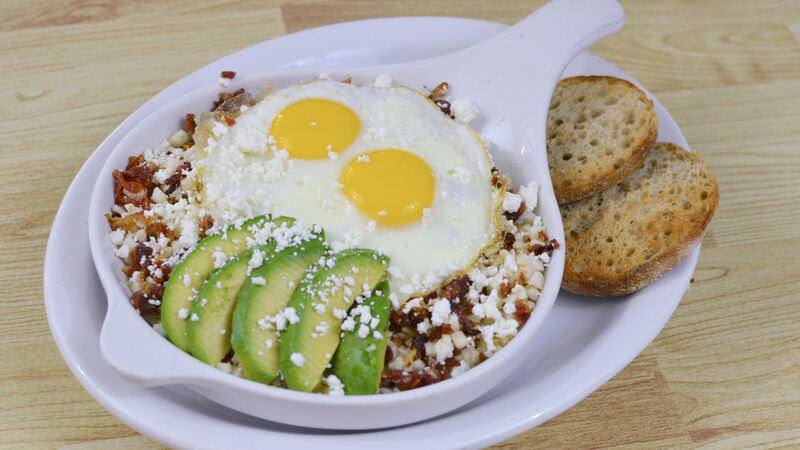 Caul Me Crazy Skillet: Riced cauliflower, bacon, goat cheese, avocado, onion and cilantro (no potatoes) topped with two free range eggs, any style. Served with a side of house-made salsa and a wheat English muffin. Everyday Boost Parfait: Vanilla yogurt with all-natural granola, fresh blueberries, bananas, pomegranates and slivered almonds. 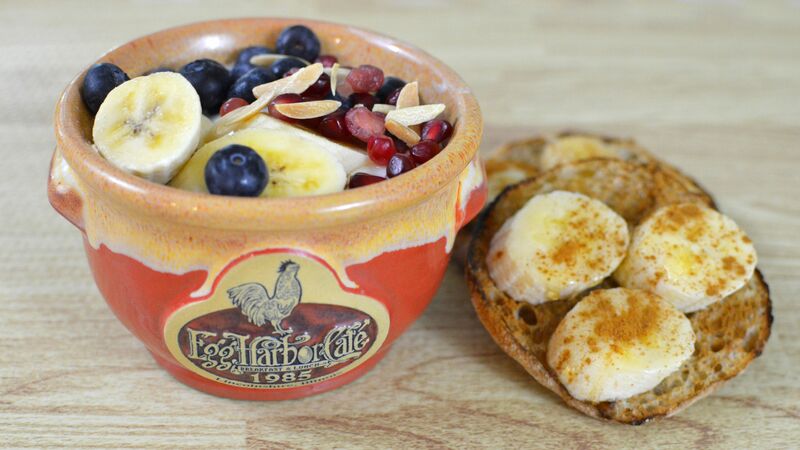 Served with our Boost muffin, a wheat English muffin topped with sliced banana, cinnamon and a drizzle of local honey. 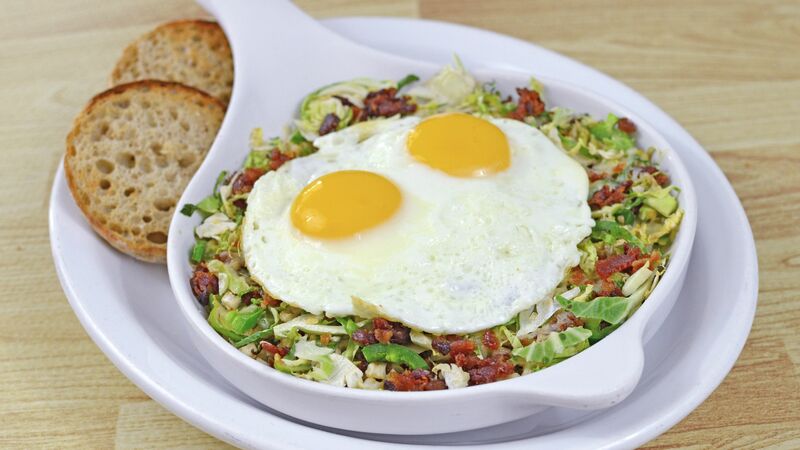 Everyday I’m Brusselin’: Riced cauliflower, shaved Brussel sprouts, bacon, jalapeno and Parmesan cheese. Topped with two free range eggs. Served with a wheat English Muffin and house-made jam. 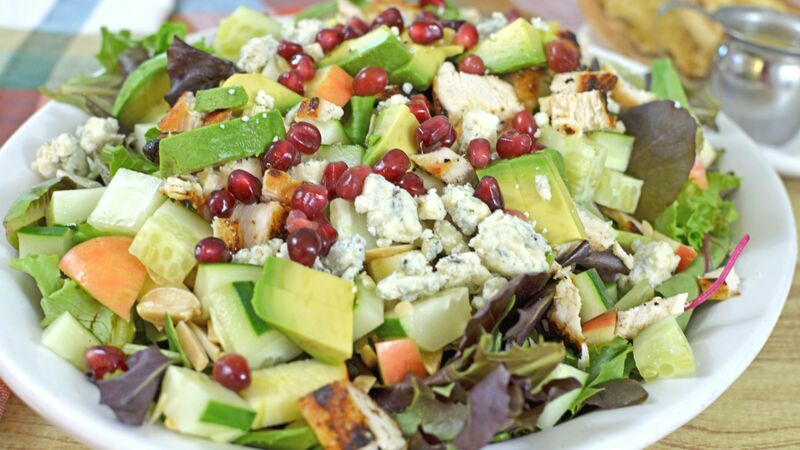 Harvest Salad: Field greens, grilled chicken, avocado, Bleu cheese, cucumber, apple almonds and pomegranate. Served with mango Chardonnay vinaigrette.